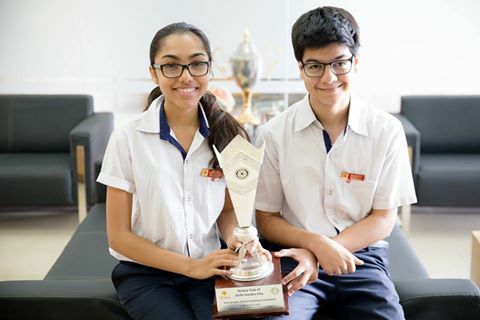 Our team of Jessy Jindal & Vedant Chandra from the Moulsari campus has won the All India Extempore Debate at the India International centre organised by the Rotary Club of Delhi Garden City! 16 Schools from all over India participated in the event. Vedant also shared the best speaker trophy at the debate. Big congratulations to both of them from the entire TSRS family!